Our new edition, featuring an introduction by Michael Phillips and English translations of Scots dialect by David Jack, side-by-side with the original text. 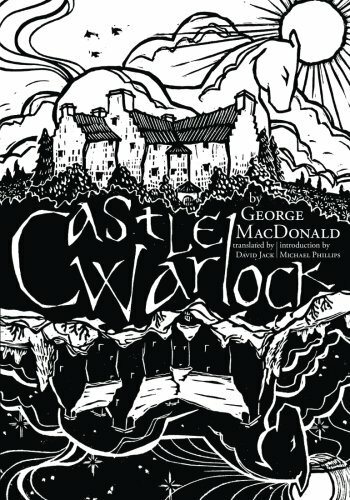 George MacDonald's Castle Warlock is many things: a mystery, an adventure, a coming-of-age story, a celebration of the beauty of the Scottish Highlands, and a revelation of spiritual truth. At the novel's center are two unforgettable characters, young Cosmo Warlock and his father, the Laird of Glenwarlock. Michael Phillips captured the essence of this Christian classic when he wrote that "most striking of all is the love which exists between Cosmo and his aging father, in the heart of which pulsed the earliest attraction of the boy toward the heartbeat of God himself." Announcing the New Scots-English Edition of Castle Warlock! “Maister A’body has a heap o’ the gowk in him yet, Cosmo,” rejoined his master. “Master Everyone has a deal of the fool in him yet, Cosmo,” rejoined his master.